I’ll admit to anyone in the world that the exchange between Donald Trump and a notable CNN journalist, Jim Acosta, was difficult to watch. The president called on Acosta to ask him a question during a White House post-midterm election press conference. Acosta posed the question and then Trump went off. Acosta’s question dealt with the refugee “caravan.” Trump didn’t like the tone of the question and then he blasted Acosta for being a “rude, terrible person.” He said CNN “should be ashamed” for employing Acosta. Then, later in the day, the White House revoked Acosta’s press credentials, denying him access to sources within the White House and the West Wing. So, that was the pretext for the White House pulling a CNN reporter’s credentials. Nonsense. It’s shameful nonsense at that. What would you do … if someone is thrust into your care while he spews hatred against people of your faith? Care for him? Would you call him what he is, a hate-filled bigot? Refuse to provide care? Doctors and nurses who took care of the man accused of killing 11 worshipers at the Tree of Life synagogue in Pittsburgh, Pa., this past Saturday answered the call. They exemplified the meaning of true service to others, even those who profess blind hatred toward them all. A Jewish doctor and a Jewish nurse administered first aid to the suspect in this horrifying incident. They did so with professionalism and, I’ll presume, care. The doctors take an oath that says they should “do no harm.” Nurses also are trained professionally to provide the best medical care they can deliver. These individuals found themselves placed into a most uncomfortable circumstance when they were asked — or ordered — to care for an individual who committed the hate crime in U.S. history against Jewish Americans. Dr. Jeffrey Cohen, the top administrator at Allegheny General Hospital, told CNN that the suspect was still screaming that he wanted to kill Jews. Indeed, Cohen happens to worship at Tree of Life. As CNN reported: “The FBI agent in charge looked at me and says, ‘I don’t know how you did that ’cause I’m not sure I could have,'” Cohen recalled. Cohen acknowledged that some on his staff had “conflicting emotions” about Bowers but said ultimately Allegheny General has one mission: to take care of sick people, regardless of who they are or their circumstances. Donald Trump has this way of denigrating everyone and seemingly every matter of importance. The terrorizing of Democratic political figures with pipe bombs is pretty damn critical … don’t you think? I do. Yet the president put a Twitter message out this morning that referred to it as “bomb stuff” while lamenting the possible drag this crisis might have on the future of Republican politicians competing in the midterm election. Wow! Amazing, if you ask me. What’s more, I was glad to hear FBI Director Christopher Wray snuff out the idiotic notion being tossed around by right-wing politicians and media that the pipe bombs were a hoax, that the crisis was the product of a shadow liberal/progressive conspiracy to make Republicans look bad. Wray said in no uncertain terms that is not the case. The bombs were real. The suspect they arrested today in Florida is known to be a Donald Trump supporter. Whoever sought to terrorize the Democratic pols, including two former presidents and CNN intended to terrorize them — if not harm them outright if the devices ever exploded. This is a serious degradation of the political discourse. It is far worse than mere “bomb stuff.” The president should know better than to say such a thing … but he doesn’t. Well, the president had a chance to make some serious amends for his contribution to the poisonous rhetoric that has infected our political discourse. As usual, he fell short of the mark. 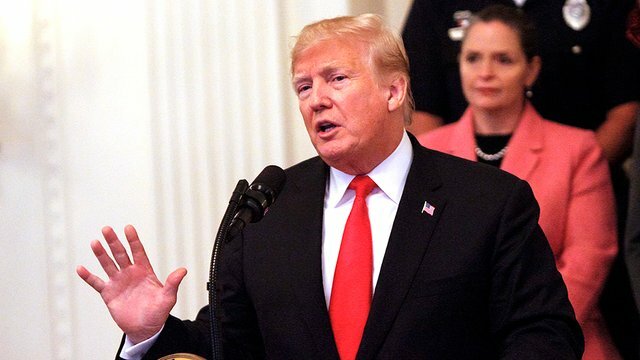 Donald Trump opened a political rally in Wisconsin tonight by calling for “peace and harmony.” He decried the discovery of bombs sent to the offices of Democratic officeholders, a key activist, and the CNN offices in New York City. That’s all good. I applaud the president’s effort on that score. But then he failed to acknowledge his own role in creating the political toxicity. He didn’t mention how he has applauded the violence of a Montana congressman on a reporter, or how he has endorsed numerous other acts of physical intimidation. Nope. He didn’t go there. He ought to retract his statement that the media are “the enemy of the people.” He knows better than that, but he says it anyway, knowing that it fires up his political base. So, what now? We’ll find out as the president continues to campaign for Republican candidates in this year’s midterm election. He wants them to win, but at what cost? Will he continue to denigrate, disparage and dismiss his foes as unpatriotic? 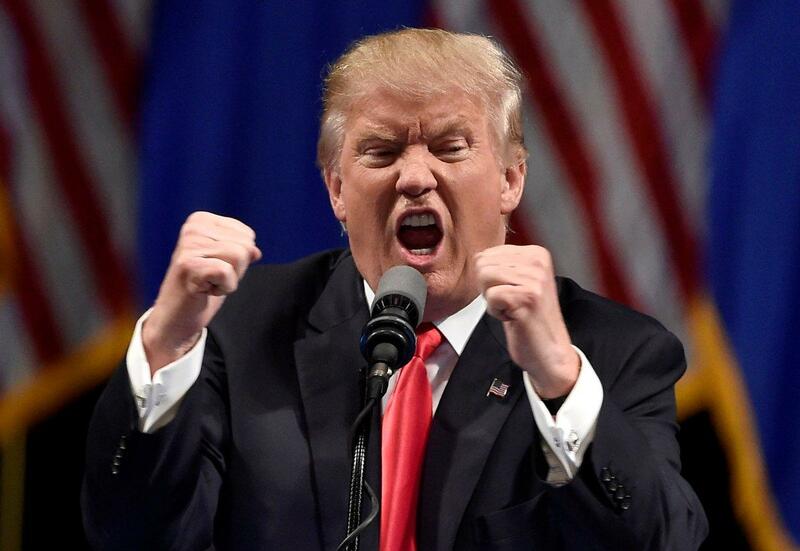 Will he continue to foment fear and anger? If he means what he says about his quest for “peace and harmony,” he can deliver the goods from any podium behind which he stands while bellowing his political rhetoric. The authorities say they have recovered seven “devices,” some of them identified as “live” bombs, from assorted targets in Washington and New York. I admit to getting a bit ahead of myself in an earlier blog post, as it was reported initially that one of the devices was meant to be delivered to the White House. The Secret Service says no such explosive was recovered. That said, the White House has issued a strong statement condemning the act of what it called “cowards” who have sent the devices. That leaves us to look at those who had been targeted: Bill and Hillary Clinton, Barack and Michelle Obama, former CIA director John Brennan, former U.S. Attorney General Eric Holder, CNN’s Nw York offices, New York Gov. Andrew Cuomo, left-wing mega political donor George Soros. What do these folks and institutions have in common? They all have (a) criticized the president or (b) been targets of the president’s criticism. Hmm. Coincidence? I fear not. The country wants a quick resolution in the form of an arrest of the suspect or suspects responsible for this frightening act of terror. 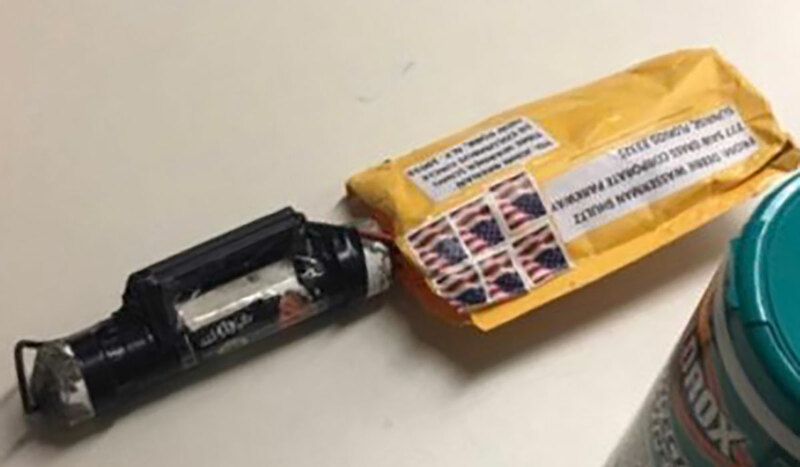 This must be said as well: If the targets’ political similarity have anything to do with the sending of these explosive devices, then we have entered a whole new age of recrimination and hatred. Is this the result of the toxic political climate? Dear reader, we have a profoundly frightening development unfolding at this very moment. Secret Service officials have intercepted explosive devices that were sent to the homes of former President and Mrs. Bill Clinton, former President and Mrs. Barack Obama, liberal political megadonor George Soros, CNN headquarters in New York and — this likely confuses the casual observer — the White House. None of the individuals targeted by the bomber was in danger. It would be easy to label whoever did this as someone — or several people — associated with a right-wing group, given that Donald Trump has targeted CNN as a purveyor of “fake news” and, of course, has pilloried the Clintons, former President Obama and Soros. But the White House also was by someone intent on doing damage to the president’s home and those who live and work inside it. Good grief! Is this what we’ve come to? Thank goodness the authorities were able to intercept the packages, which reportedly have been ID’d as containing explosives. Let us all hope and pray the FBI, the Secret Service and local police authorities are able to arrest whoever is responsible. Our nation’s “liar in chief” has asked whether a Facebook plan to purge itself of “fake news” means that CNN could be going out of business. Donald John Trump asked this on Twitter: Facebook has just stated that they are setting up a system to “purge” themselves of Fake News. Does that mean CNN will finally be put out of business? More galling than that, of course, is that the president himself is the nation’s — if not the world’s — most egregious purveyor of actual fake news. I mean, he makes things up. He pulls assertions out of thin air — or perhaps out of a certain body orifice — and blurts ’em out. He flings accusations at foes without any evidence; he makes claims of fraud where none exist; he foments falsehoods (such as the birther lies regarding his immediate presidential predecessor). And then he has the temerity to assert that media outlets — except for his “friends” at Fox News — spread fake news all around the world. He stands behind campaign rally lecterns and bellows this and that about “fake news” and his faithful believers cheer him on. Every single mention of “fake news” that flies out of this president’s pie hole only ratifies what millions of Americans know already. Donald Trump is unfit for the office he holds. 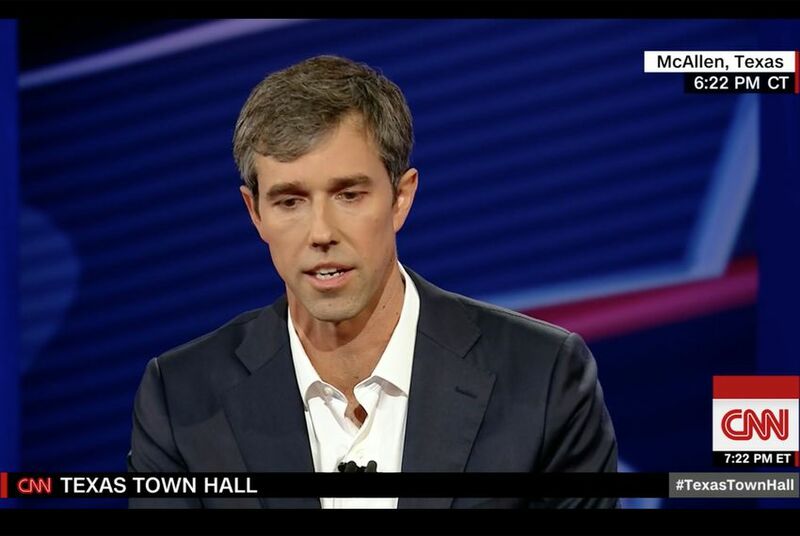 Beto O’Rourke is trying to unhonk the rhetorical horn by telling a CNN correspondent that his use of the “Lyin’ Ted” epithet against Ted Cruz perhaps is a step too far. He now sounds as if he regrets going quite so negative in his most recent debate with the Republican U.S. senator. There’s a bit of charm in hearing the Democratic challenger acknowledge a case of weak knees in using the tag first hung on Cruz by Donald Trump when the men were competing in 2016 for the GOP presidential nomination. Trump called him “Lyin’ Ted” and got huge laughs from campaign crowds. O’Rourke said in the men’s debate that the negative moniker sounded true to him, so he used it against Cruz. The midterm campaign is drawing to a close. Cruz appears to be clinging to a lead of about 6 to 8 percentage points. O’Rourke is looking for any edge he can find. He has gone negative in his TV ad campaign in recent days. Indeed, he now joins Cruz, who’s been firing shots at O’Rourke for several weeks. We likely won’t hear any utterances of regret from The Cruz Missile over the tactics he has used to (mis)characterize O’Rourke’s policy pronouncements. Do I believe O’Rourke went too far with the “Lyin’ Ted” reference? Aww … no. He didn’t. However, I don’t have to deal with any blowback from campaign rhetoric. O’Rourke believes he “may” have gone too far. I would prefer O’Rourke to stay on the high road. And … by the way … I still plan to vote for Beto.